Whether you're new to the sport or training to become the next world/Olympic champion the team at Energy Link can partner with you to realise your potential. I coach under the guidance of four times Australian Long Course Champion Bruce Thomas and his wife Christina Thomas, an Ironman champion in her own right. At Energy Link we believe each person is an individual and we specialise in developing training plans specifically tailored for individuals. 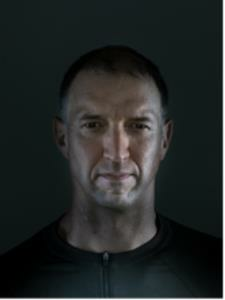 I've been doing triathlon since 2001 and is a Triathlon Australia accredited performance coach. I have completed 15 Ironman events, including Kona, and received legend status at Ironman Australia in 2013. I have successfully coached age group winners at the Huskisson Long Course Triathlon in 2015, the Western Australian Female 25-29 state champion in 2015/2016 season and the Australian National Aquathlon Champion and winner of the Cairn 70.3 for Male 25-29 in 2016. Success. Coach Llewellyn Hartley has been notified of your message.